My time with this family was so sweet! 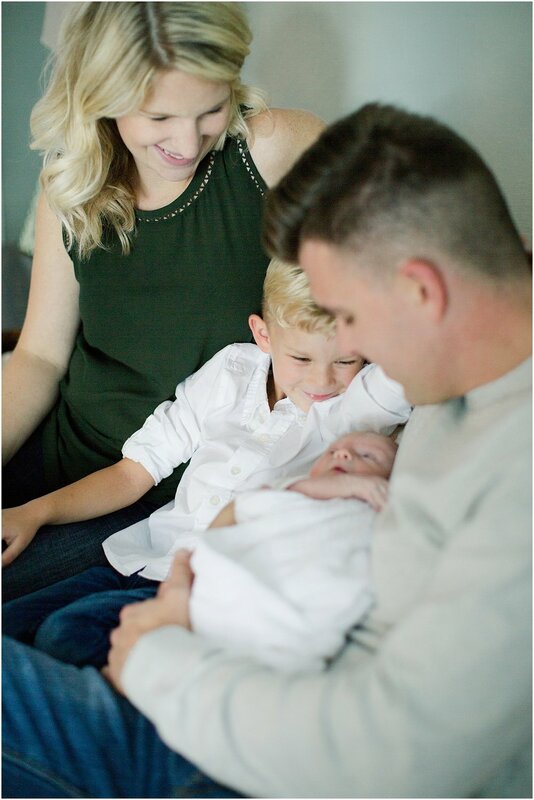 We started off Vivian’s session with some family snuggles while she was getting sleepy. I got two meet Meredith & Will’s two precious pups, and they were a hoot…and so sweet & snuggly! Then we grabbed some precious photos of Vivian on her own after she dozed off. After a little while, her big brother hopped off the bus from school and joined us! I think the photos of the two of them together are some of my favorites! Then we rounded off the session with more snuggles. 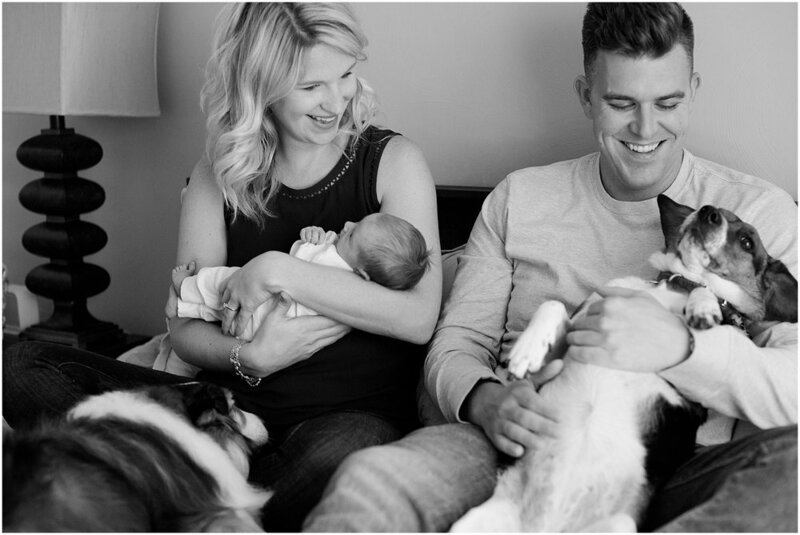 So to sum it up... newborn snuggles, a sleepy baby, pups, adorable siblings, and more snuggles… this newborn session was full of the best things! Also, Vivian’s nursery is just stunning!! Just wait until you see all of the beautiful details! Meredith & Will, y’all did an amazing job with it, and I especially love the huge gallery wall full of art! Meredith & Will, thank you so much for asking me to capture this sweet season of life for y’all! It was a pleasure!